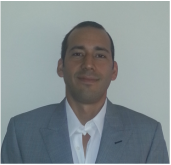 Diego is founder of Plugtree, specialized in consultancy, support and training for Drools, jBPM and related technologies He has several years of experience in BPMS and BRMS implementations in different industries. Diego wrote the book “OSWorkflow: A guide for implementing Business Processes” and several related articles. He is actively involved in the Drools / BRMS community as a community contributor. The healthcare company has the largest coverage in Argentina, with over one and a half million affiliates. It is also the leader in healthcare technology usage of the region. event processing system that takes advantage of all the cross references of different types of events. Along that time, they’ve compiled a series of best practices, design patterns and overall experience of its impact over operational aspects of the company. It is of their most interest to share this experience with other companies. This talk explains how to integrate a CEP server with enterprise level middleware, such as ESBs, legacy applications, different communication protocols such as SOAP, REST and JMS, and being able to process all events in a way that makes sense in a global way from the standing point of the company. This integration goes on to cover integrating outgoing events from the CEP server to the rest of the application world. We will cover as many best practices as possible, from defining and upgrading the event definitions to its transformations, from the data gathering to the information generation, and from coding to business ROI.